Dear reader we are discussing this topic according to ASTM C33 which provides specification for aggregates for concrete. Dear reader we have discussed about deleterious substances present in fine aggregates as a constituents of concrete. Here we will discuss about impurities that results alkali-silica reaction. 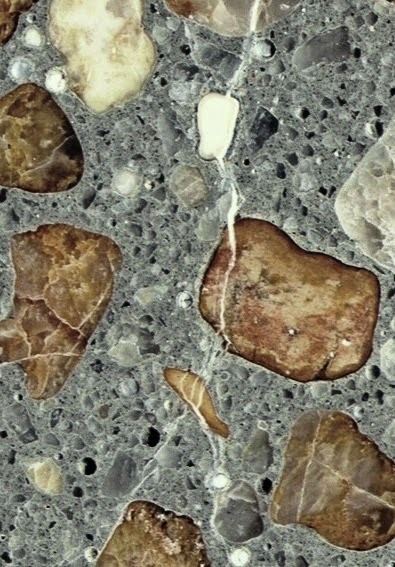 These materials in fine aggregates react with alkalies present in cement and produce sufficient amount of expansion of mortar or concrete itself. Details explanation of alkali-silica reaction will be published very soon in upcoming posts. But ASTM specified to use such fine aggregate that have sufficient amount of impurities to do that harm, only when cement used for concrete proportioning have alkali content less than 0.60 present. The amount is determined making equivalent to sodium oxide (Na2O+0.658K2O). ASTM also allowed such aggregates when materials are included in mix design that can prevent or control alkali-aggregate reaction. Dear reader we have discussed about such materials in our posts regarding glass sand, where also alkali-silica reaction is the prime factor. We will provide mitigation measure according to ASTM C33 in next post.